I'm really excited to share with you about Rachelle Christensen's newest book that releases today. It's called River Whispers and I got to read this last year as one of her beta readers. I'll just tell you it's probably my favorite book of hers to date. It really struck a chord with me, because it's set in the same general area I grew up in. And the story is fabulous. I'll have a review coming soon, but today, here's the book info and there's also a giveaway going on that you should check out! About the book: Jack Bentley’s life fractured into jagged shards of pain and loneliness four months ago when his wife’s car plunged into the Snake River. Still reeling from the loss of his wife and infant son, Jack finds his world shaken again when he sees the ghost of his wife, Gina. But the truth she tells him changes everything: their son didn't drown with her. Now, Jack must find his son before he slips away forever. 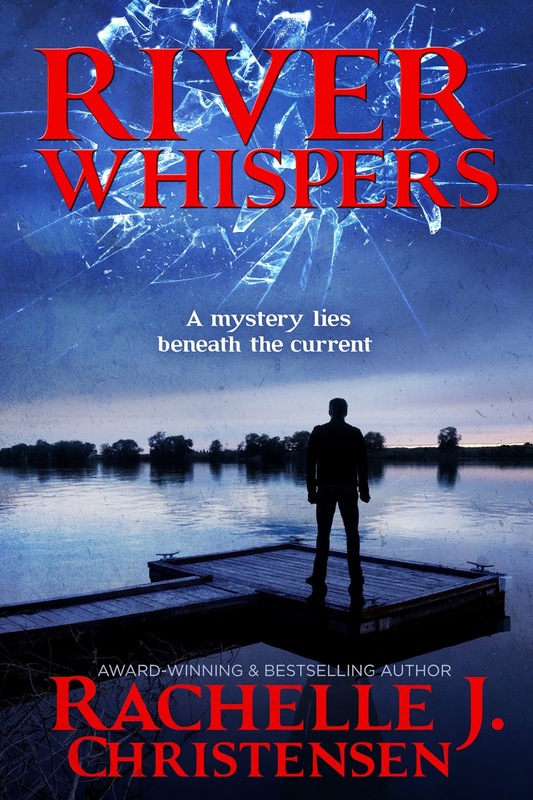 Haunted by loss and his wife's plea, Jack finds himself diving into a mystery deeper than the river's swift current. No power on Earth can reunite him with his little boy—and even help from beyond the grave may not be enough to bring Jack's son back. This post contains an affiliate link, which simply means that if you click my link and make a purchase I may receive compensation.